Change good for player privacy, though. A change Valve has made to Steam's privacy settings has torpedoed game data and statistics website Steam Spy. Steam Spy provides useful insights for developers trying to understand player behaviour, as it allows information like sales and current players to be filtered by country, among other things. Before the change, the Steam libraries of players were visible to the public by default, and it is this data that Steam Spy used to estimate game sales, among other things. Unfortunately, other information like a user's real name, Twitter handle, and so forth was also publicly available – unless the user changed those settings. However, this information is now hidden by default, which saw Steam Spy creator Sergey Galyonkin tweet yesterday that his site would be closed. It seems likely the change was made thanks to the Cambridge Analytica scandal, in which the UK consulting form harvested personal data from millions of Facebook accounts legally via Facebook’s API, then sold that data to companies and political candidates. That saw Facebook chief executive officer Mark Zuckerberg testify before the United States House of Representatives today and before the Senate yesterday about securing the personal data of the people who use his social network. Valve’s tweaking of its privacy settings will be something of a blow for Galyonkin, as Steam Spy rakes in more than US$7500 per month on Patreon. However, he’ll probably be okay: his day gig is director of publishing strategy at Epic Games. Speaking with Eurogamer, Galyonkin said he knew Steam Spy would fall over at some point, and he still has “a small side project called Fortnite to think about anyway”. Epic’s battle royale phenomenon isn’t his only “side project” though – he has created a streamer information database called Twitch Spy, which shows games that are being streamed, which are getting popular and less popular, and how subscriber counts and follower counts are influenced by streamers switching games. However, it’s not a public utility... yet. 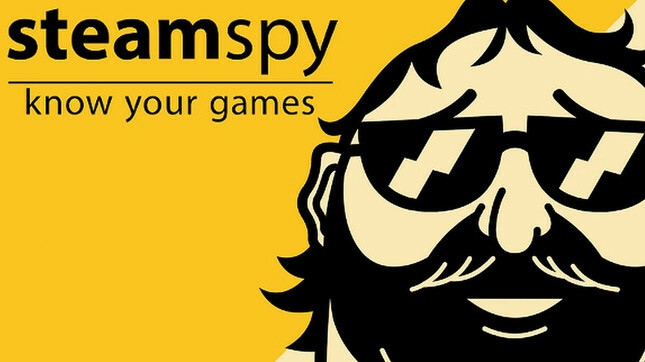 Within the game development community, the closure of Steam Spy has been mostly met with sadness.